Skywatchers from Mount Fuji to the Grand Canyon enjoyed a treat: the moon nearly blotting out the sun to create a dramatic “ring of fire” over a narrow strip of eastern Asia and the western United States. 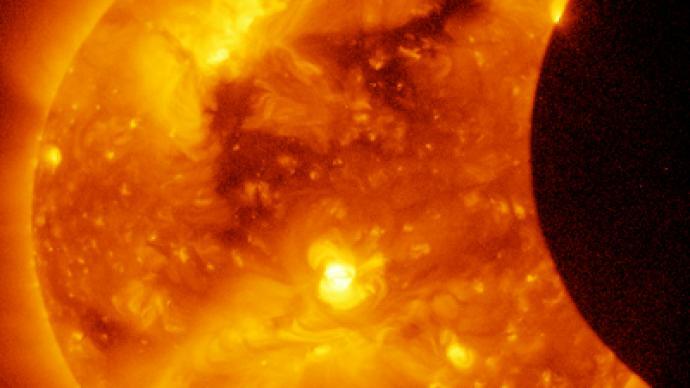 ­The annular eclipse, in which the moon passes in front of the sun leaving only a golden ring around its edges, was visible in Asia early Monday. It then moved across the Pacific and was seen in parts of the western United States Sunday afternoon. 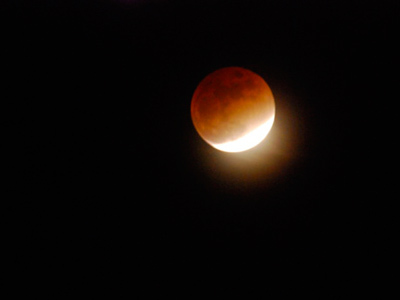 In the US, viewing parties were held at observatories in Reno, Nevada, and Oakland, California, and elsewhere. Members of the crowd smiled and cheered and children yelled with excitement as the moon crossed the sun and the blazing halo of light began to form. Some watched the eclipse by placing their viewing glasses on the front of their smartphones. And once the eclipse began, Twitter and Instagram exploded with mentions and photographs of the event. 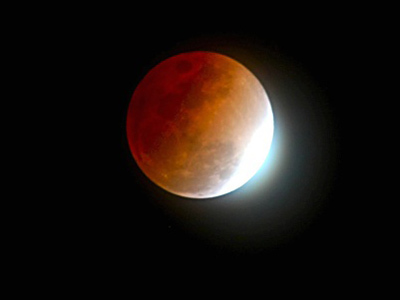 Eventually, the moon centered and covered about 96 per cent of the sun. 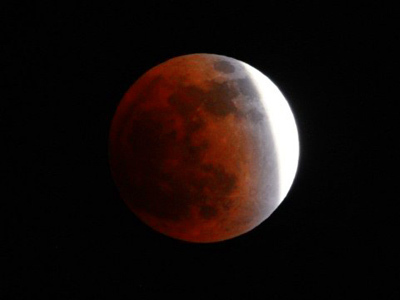 The eclipse was broadcast live on TV in Tokyo, where such an eclipse has not been visible since 1839. Japanese TV crews watched from the top of Mount Fuji and even staked out a zoo south of Tokyo to capture the reaction of the chimpanzees, which did not seem to notice. However, the ring-tailed lemurs in the same zoo went into a frenzy, as they were fooled into thinking it was nighttime. A group of about 20 lemurs at the Japan Monkey Center in central Aichi prefecture jumped up and down wildly. Apparently the once-in-a-lifetime event sent the primates into evening behavior, which involves a round of brisk exercise to keep their body temperature up, said the zoo's director Akira Kato. The eclipse followed a narrow 8,500-mile path for 3.5 hours. The ring phenomenon lasted about five minutes, depending on the vantage point. People outside the narrow band for optimal viewing saw a partial eclipse. 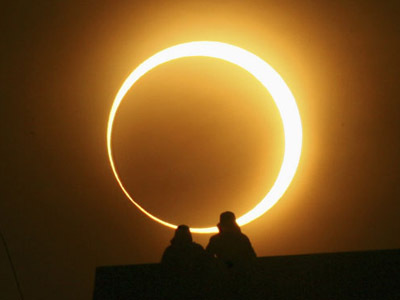 “Ring of Fire” eclipses are not as dramatic as a total eclipse, when the disc of the sun is entirely blocked by the moon. 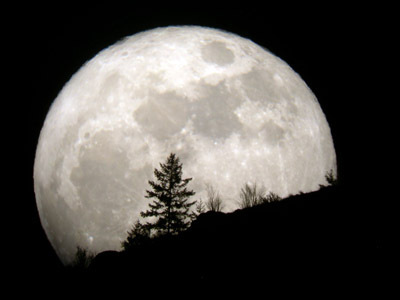 The moon is too far from Earth and appears too small in the sky to blot out the sun completely.